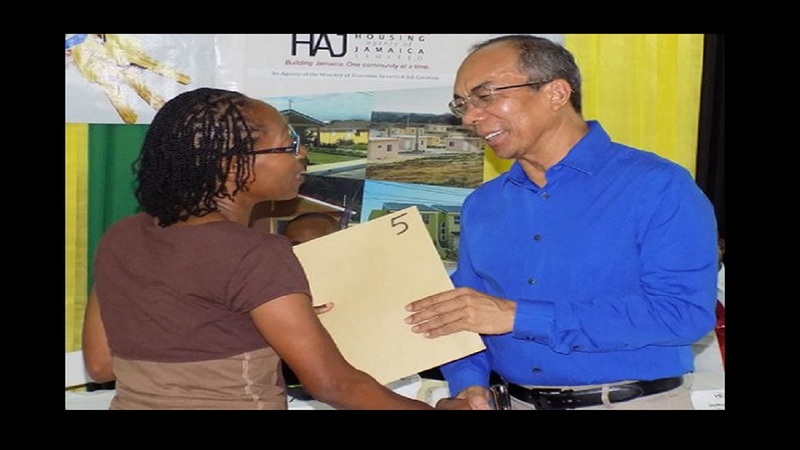 Andre Gordon, Land Surveyor, informed that data reveals that almost 350,000 or 40 per cent of all parcels of land in Jamaica are without registered titles. 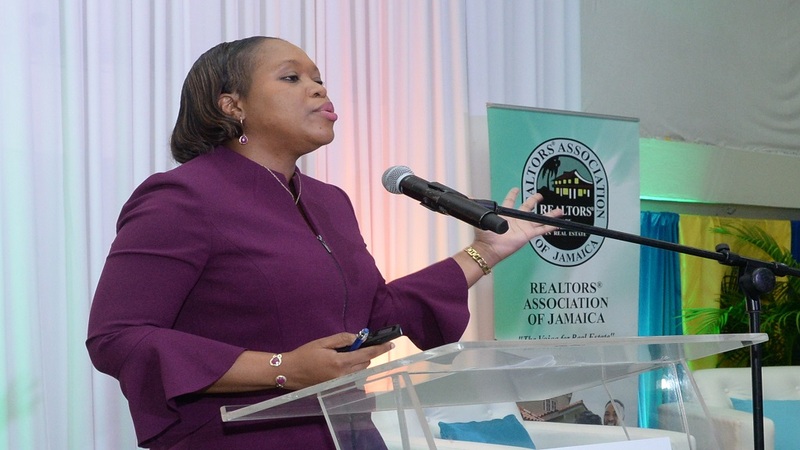 Surveyors, bankers, regulators and stakeholders in the real estate sector are again urging Jamaicans with unregistered land to apply for their titles and take advantage of the economic benefits of land ownership. 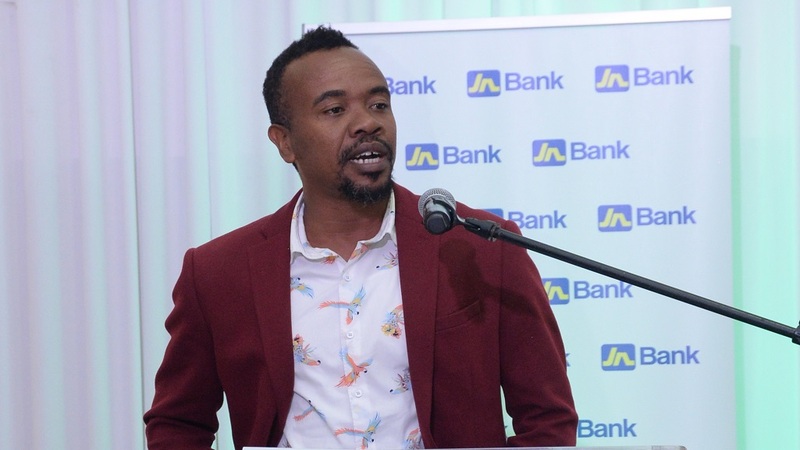 Land Surveyor, Andre Gordon informed that data reveals that almost 350,000 or 40 per cent of all parcels of land in Jamaica are without registered titles. He said a rough estimate of the value of those properties would be in excess of $200 billion or US$1.6 billion. Currently, the parishes with the highest rates of unregistered land are Portland and St Elizabeth. He further pointed out that there are many families in Jamaica, who own large portions of unregistered land, but, are struggling financially, because their wealth is unlocked and, in a sense, they can’t use it. He noted that as a trained land surveyor, one of the first lessons he learned was that land was the source of all material wealth. “As land practitioners and land surveyors, our aim at all levels, should be to unlock the wealth potential for everyone, and it starts with bringing unregistered land under the Registration of Titles Act,” he added. 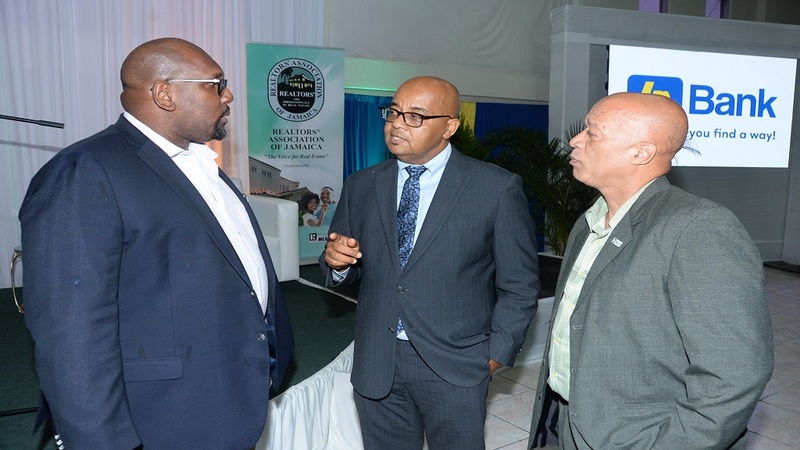 Gladstone Whitelocke (centre), Development Financing Specialist, Jamaica National Group, converses with Steve Distant (right), Chief of Retail Sales at JN Bank and Andrew James, President of the Realtors Association of Jamaica (RAJ), during the ‘Know Your Property Rights’ symposium. He was supported by Gladstone Whitelocke, development financing specialist at the Jamaica National Group, who emphasised the intrinsic value of property rights and its link to economic prosperity, not only for individual persons but the entire nation. 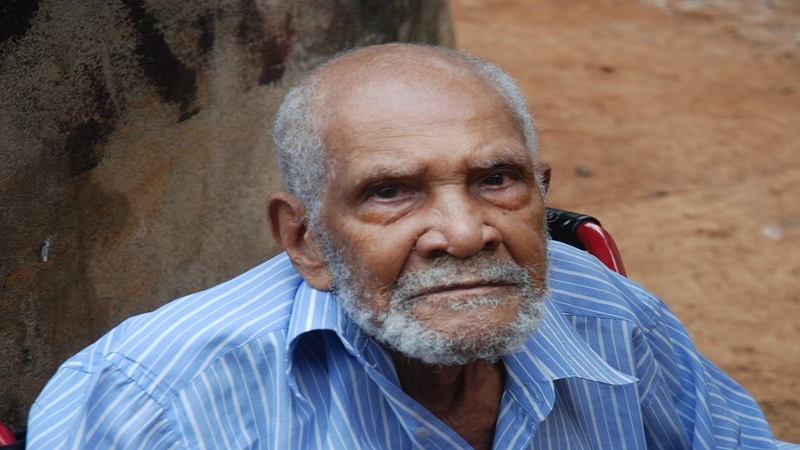 Whitelocke noted that, in the absence of titles to their property, many Jamaicans are unable to unlock wealth and, in turn, the economy suffers. He also pointed out that, unregistered land amounts to “dead capital,” since it cannot readily be used as equity or collateral in the formal financial system. “Once in hand, your title can open a world of financial possibilities. Your title can be used to access funds, which are best used to acquire long-term assets capable of increasing net worth; and, as much as possible, to generate income; or, to improve your capacity to earn higher levels of income in the future,” he said. Whitelocke advised that persons can use their titles to borrow capital to build, to expand and inject capital into their business, to send yourself back to school, or to send their children to school.